Our collection of event props and décor items will introduce you to a number of exciting pieces that will make your venue unique. Our floor candelabras provide intimate lighting that will make guests feel right at home as they dance, eat and enjoy themselves. Our columns for weddings, arches and wholesale colonnades present a wide range of backdrops that are perfect for formal photographs. 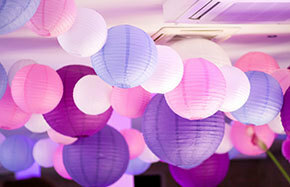 Event props offer you more ways to customize your next major event. These items have become a staple at many celebrations, including wedding receptions and ceremonies. 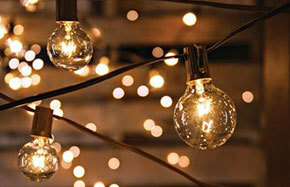 The finer details can have a powerful impact on the way guests perceive the festivities. 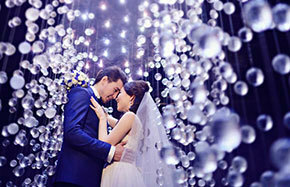 Decorations that provide a higher degree of elegance and sophistication can create a setting that complements the importance of the reason behind the ceremony or party. These items come in many styles and can be used to highlight doorways, aisles or key areas within the venue such as the cake table. 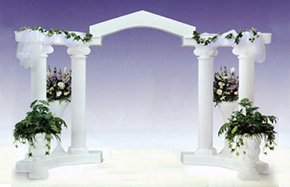 Our empire columns are most popular for weddings and special events. We also offer items that make these larger products look even more enticing. Our balustrades are a must-have for customers who plan to use a colonnade. This product is essentially a rail that can be placed around or in front of any object. 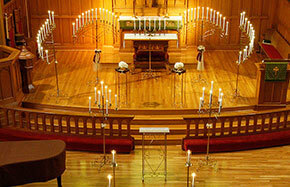 Set them up in front of the bridal table or the guest of honor’s table or use them as photograph enhancers. 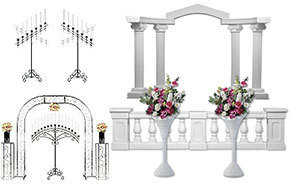 The smooth top and gorgeous balusters also provide another place to wrap ribbon, fabric, party lights, ivy vines or flower strands to add a bit of color to your presentation. This collection also includes our line of high quality urns. 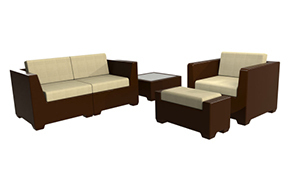 Each is made of long lasting polyethylene that will last through years of indoor and outdoor celebrations. Although our products are not meant for permanent outdoor display, they are waterproof and resistant to scratching, chipping and cracking so you can take them anywhere for an event. Simply fill the urn with your favorite blossoms or dangling vines and place on top of one of our exquisite pedestals or balustrade sets. There are so many options and so many different designs to explore! Floral stands provide a convenient way to display bouquets while enhancing the presentation. Our risers will lift the arrangement so guests can admire each blossom as well as the captivating profile created by the standing piece. We also carry flower stands that include a bowl on top so you don’t have to take up precious table space to get more blossoms into your venue. The smaller odds and ends can be found within our “Other Equipment” category. Each of these items is extremely practical and affordable. 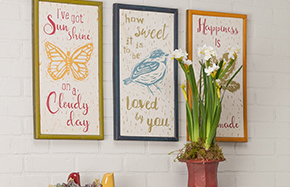 You will discover matching aisle rollers that can cut down on preparation time as well as basic easels that are perfect for displaying collages, photos or signs. Our catalog also features eye-catching kneeling benches, podium style stands and versatile erasable LED boards that are guaranteed to draw attention to your message.